The ultimate in designer luxury, the Taffeta looks stunning, feels good and has a high specification protective rating. A jacket that has to be seen to achieve the full 'wow' factor, the Taffeta shimmers and changes colour as the light changes or the wearer moves. Designed in an attractive opalescent red colour, the jacket appears luminescent and is as unique a design as they come. Offering top of the range specifications so that you will always be warm and dry in the Taffeta, the design means that you will always be an individual. An absolute must have jacket. 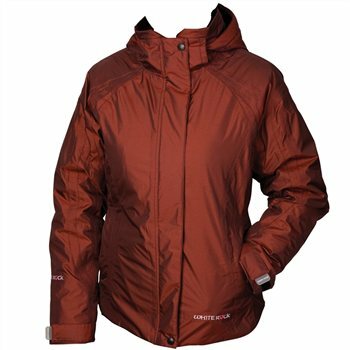 Very pleased with this windproof and waterproof jacket which is also comfortable to wear. Excellent value.